Course Website: Official Website - Visit Caves Valley Golf Club's official website by clicking on the link provided. 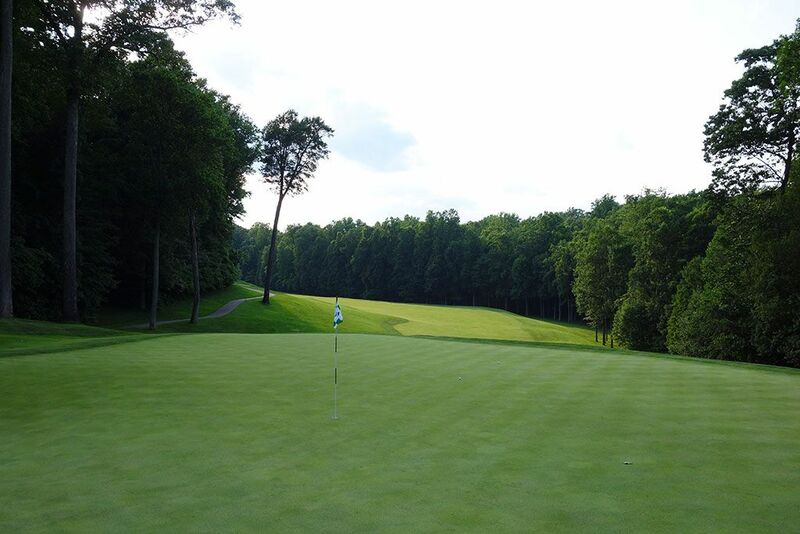 Accolades: Ranked 6th in Maryland on Golf Course Gurus' Best in State list. 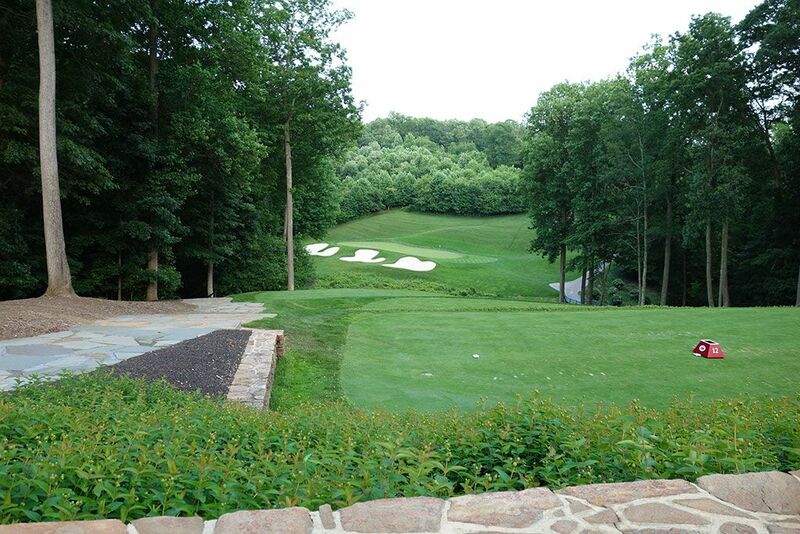 What to Expect: Caves Valley is an upper end private club located 15 miles northwest of Baltimore is a secluded area that features rolling terrain and dense trees around the perimeter of this 962 acres property. The trees have been significantly thinned out on the front nine where they help frame some holes but aren't as penal as the deeply forested routings found in Pacific Northwest or other locales. The back nine features thicker trees and greater changes in terrain elevation which create some great holes, however the 9th hole is a significantly better finishing hole then what the 18th offers. 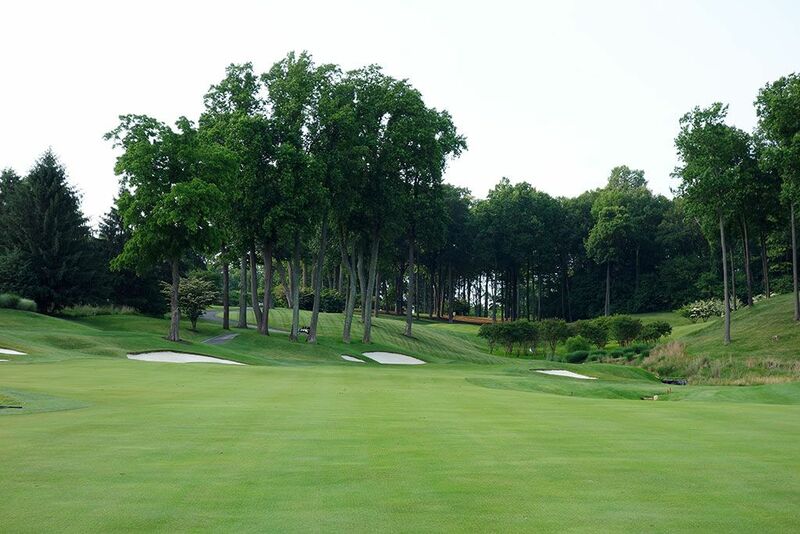 Perhaps the course that came to mind the most throughout my round at Caves Valley was another Fazio design, Hudson National, though it lacked the spectacular views afforded at the impressive New York design. 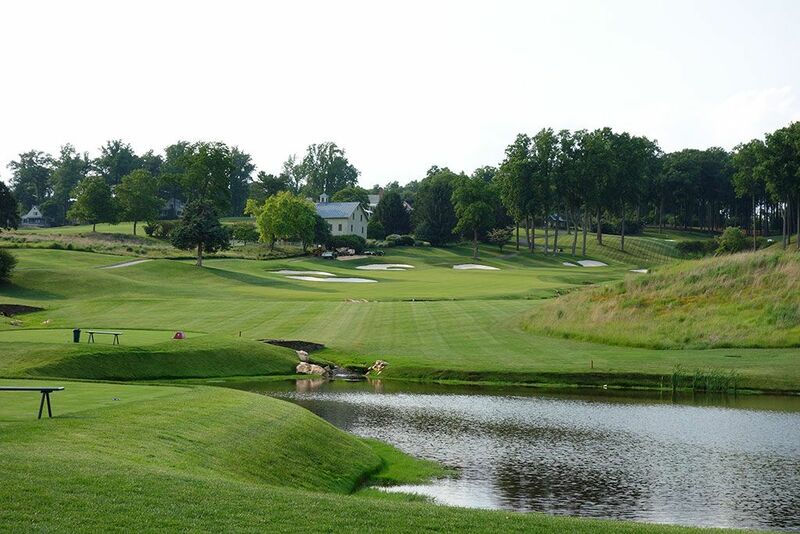 While the club draws in membership from Baltimore, Washington D.C., and Philadelphia, the club caters to a national membership with players being able to come in and stay at one of the five cottages on property where a weekend full of golf can be enjoyed to the fullest. Caddies accompany all groups for their round and walking is encouraged, however carts are available upon request but must stay on the cart paths. Signature Hole: 12th Hole – 179 Yard Par 3 – A downhill par three that is all carry to a green fronted by a trio of bunkers and boasting a hillside backstop. This exciting tee shot plays much easier to a front right pin location beside the chipping area than it does to the back left portion of the green that requires more carry and a smaller landing area. 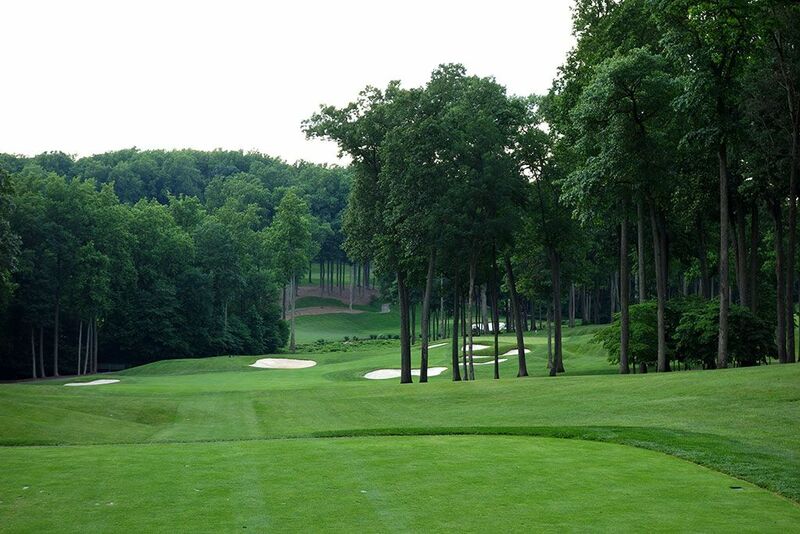 The stretch of holes from #9 - #14 are Caves Valley's best and this is part of the reason why. 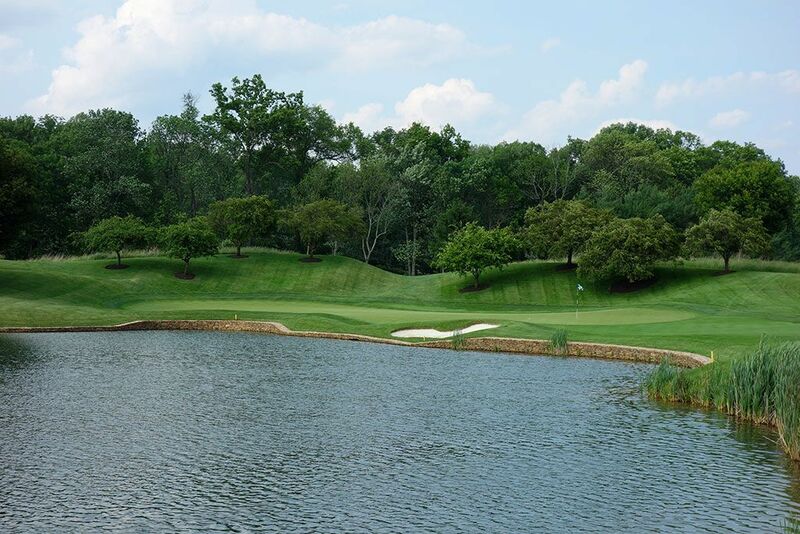 Best Par 3: 4th Hole – 202 Yards – In what has become a classic design, the par three 4th plays over a pond to a green fronted by a single bunker. The bail out area is to the right of the green and affords a great chipping angle to any pin location. 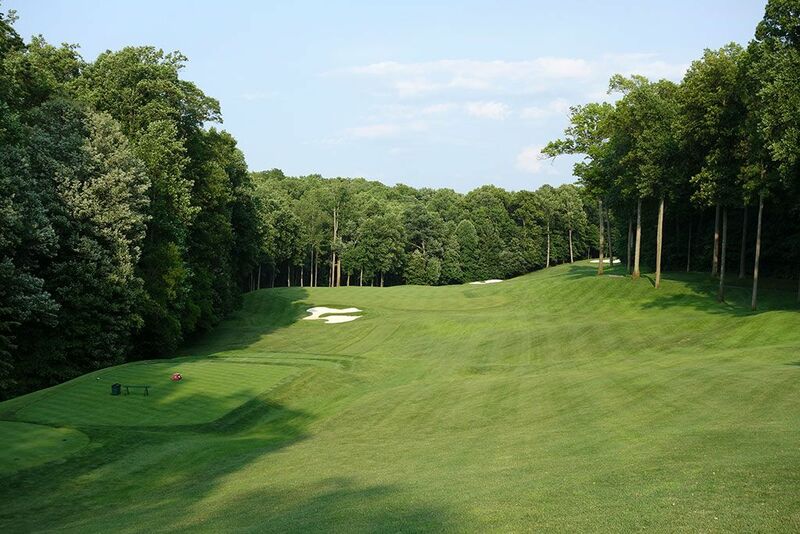 The 4th is an attractive hole that sets the tone for a round at Caves Valley and its secluded location. Best Par 4: 9th Hole – 400 Yards – Much better suited as the finishing hole of the course rather than just the front nine, this challenging dogleg right is perhaps the best offering on the course. Bunkers frame the left side of the fairway while a creek meanders down the right. The narrow green sits back in an amphitheater of trees where misses to the right will almost certainly result in a dip into the water. Best Par 5: 13th Hole – 535 Yards – This slight dogleg left can be reached in two if players can carry the bunker protecting the corner. The uphill approach plays to a green with a narrow opening and is protected by a collection of bunkers. 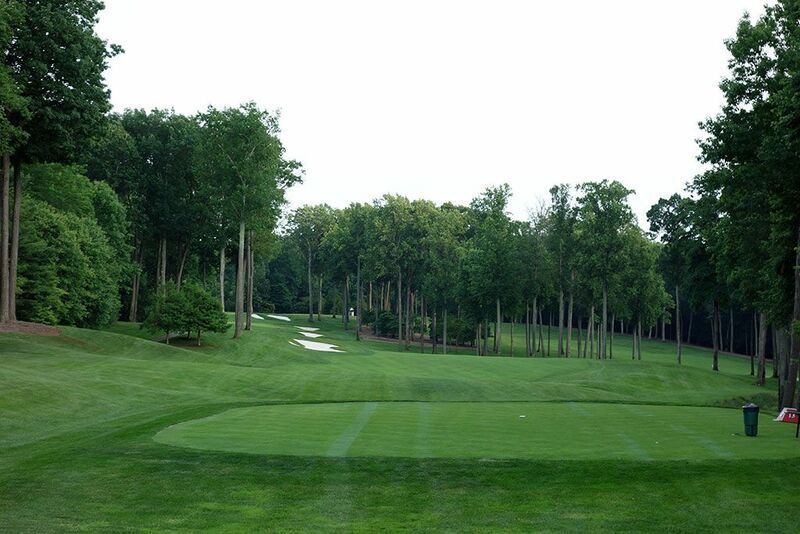 With trees lining both sides of the fairway, accuracy is placed at a premium from tee to green. Birdie Time: 14th Hole – 330 Yard Par 4 – This dramatic dogleg right is a risk takers delight, particularly if said risk taker hits a high tee ball. At just 330 yards, this hole is a great opportunity to card a birdie whether you safely lay up and leave yourself a slightly uphill approach or whether you choose to bomb your driver at the green. Players going for the green can hit a high tee ball over the trees framing the right side and take their chances at missing one of the five greenside bunkers. Players landing on or near the green will have their easiest birdie chance of the day. Bogey Beware: 11th Hole – 437 Yard Par 4 – Perhaps my favorite hole at Caves Valley was this demanding two-shotter that features a strong uphill dogleg turn to the right. The left side of the fairway falls off a steep edge while the right side is protected by forest thus requiring players to hit the fairway for any chance of reaching this green in regulation. The elevated green is pinched on the left by a bunker that sits well below the putting surface and presents a difficult up and down. From the pressing tee shot to the elevated approach, this hole requires two great efforts to avoid a bogey.